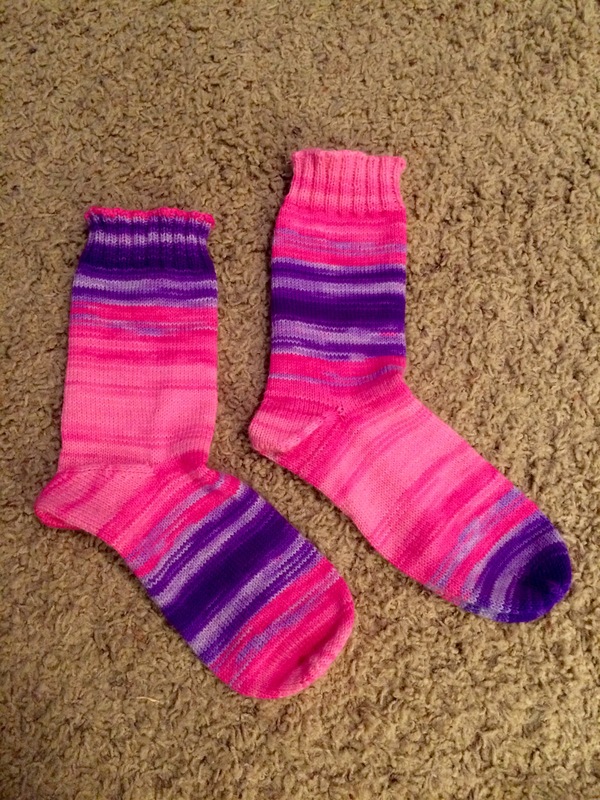 This entry was posted in Finished Objects, Knitting, Socks and tagged flourmania, FO, knitting, regia, socks, toe up, vanilla by atangledyarn84. Bookmark the permalink. 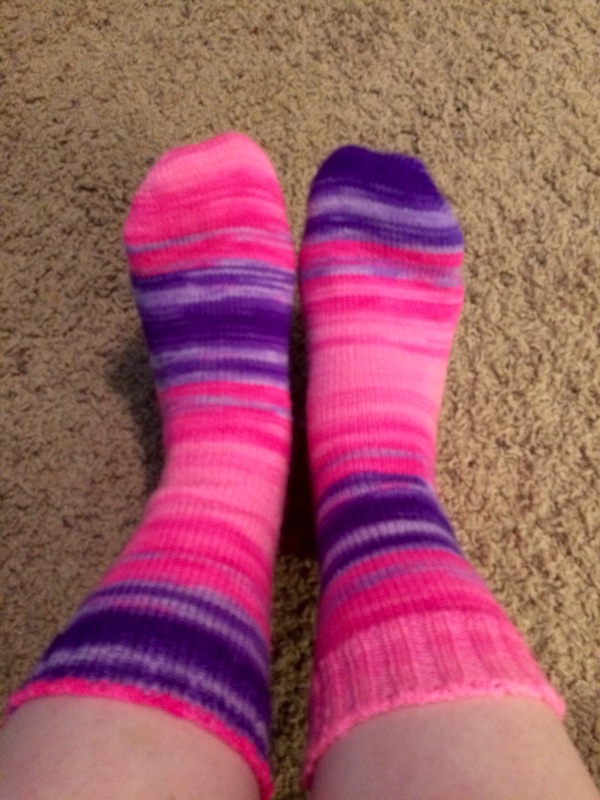 I can see why these would make you so happy, it’s hard not to be in love with socks this cheerful! I dyed some fiber I later spun up in this exact same color. Makes me want to go knit it and I am not even a fan of pink.